Find your apartments for rent in Milan Italy for students or hostels in Milano, Italy the Economic city centre of Italy, where the stock market isn’t on wall street but in Milano Finanza, or maybe you don’t care about the business-business and you want to go on a little Aperitivo binge with your friends, while enjoying a nice light drink in the Galleria, or on the Navigli. Maybe you care more about culture and want to pass your days in Brera near the Pinacoteca, or go and see one of the best kept Italian Castles, The Castello Sforzesco right in front of the beautiful Parco Sempione. If you’re looking for apartments for rent in Milan in Italy for students, student rooms in Milan, Bed & Breakfasts, cheap apartments in Milan, hostels, studio apartments, lofts, or just rent a room in Milan, or a nice student accommodation Milan located, or even cheap hostels in Milan Italy, we have the perfect selection of pads for you to enjoy a true Milanese experience and all about Milan Student. While looking for a room for rent in Milan Italy of for flats to rent in Milan, keep in mind that there is a huge selection of student apartments Milan situated to look through, so don’t worry if you think that you’ll be too far from your university, because luckily the subway system is great, and nothing is more comfortable for a student abroad than a well oiled metro system. Maybe you’re not only here for studies, but for a little vacation so if that’s the case don’t worry we also offer a wide selection of tourist apartments in Milan, or just cheap hostels in Milan for you to look through. 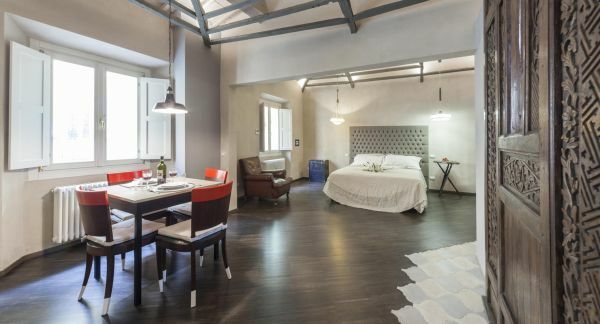 This modern and elegant student loft is situated in piazza Crocetta in Milan. It is ideal as for long and short term student accommodations. 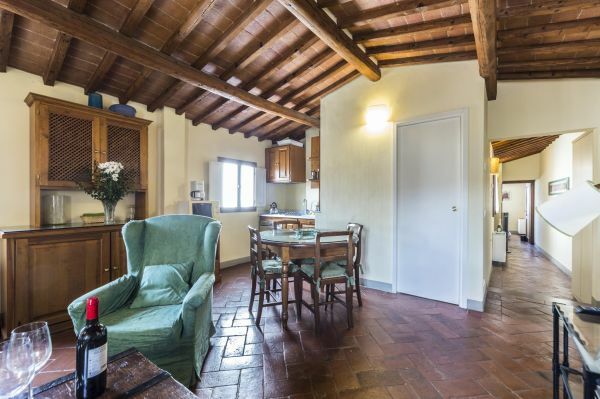 This student rental is situated in the most convenient and close neighborhood at the University of Milan and its departments. 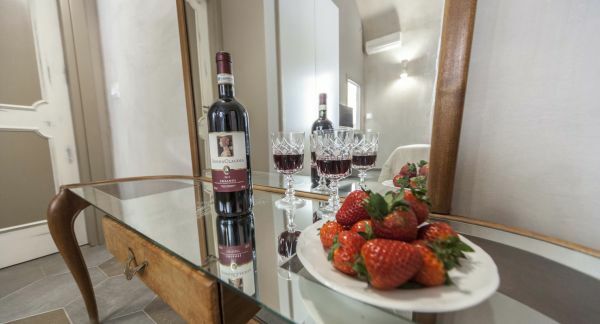 Crocetta 37 student apartment is situated on the ground floor and features a spacious and comfortable double bedroom with air-conditioning and a sofa, a modern kitchen with dishwasher and microwave and a bathroom with a shower and washing machine. Here you will be able to live your student life and study since it is a very quiet accommodation as it faces an internal courtyard. 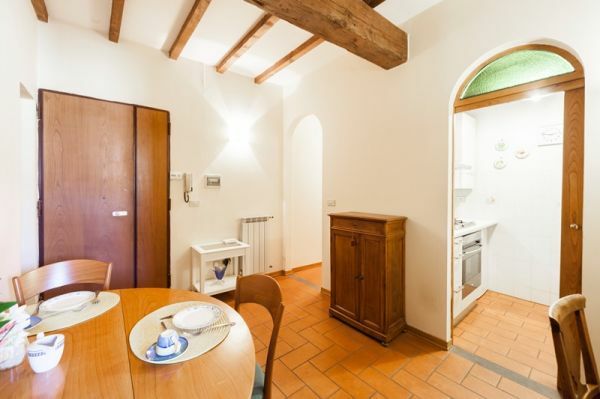 If you attend the University of Milan, you must seriously consider this student rental, even if it is a little away from the headquarters of the university. The university and it is departments are in fact located in the heart of the city and therefore that area is quite expensive. But if you prefer a more convenient and less expensive area to stay with all the services and nightlife, but paying less this student accommodation it the perfect choice! Student apartment excellently positioned in the center of Milan, only a few steps away from the Università degli Studi di Milano. 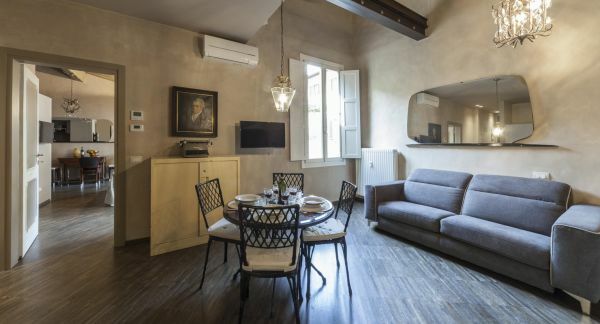 This student rental is located on a very central and elegant street, Via della Signora. It has been recently renovated (2016) and it is situated on the first floor of an elegant building. The area where this student studio flat is located is well equipped with services and with many amenities. This student accommodation features all the appliances and utilities that you will need for a pleasant stay during your studies in Milan. It is a spacious and luminous open space studio flat with a king size double bed, a comfortable double bed sofa and a bathroom with a shower and a wash and dry machine. In Signora student apartment there is also a fully equipped modern kitchen with a dishwasher, oven microwave and a kettle. Luxury student apartment perfect if you are attending the Bicocca University of Milan. It is situated in the same district, and this area is rich in services and with many amenities and during the night it is a really quiet zone. This is an elegant two bedroom student accommodation in the city of Milan, just a few steps away from the Bicocca University of Milan. This student flat features two spacious and comfortable double bedrooms, one of which with an en-suite bathroom with a bathtub. There is a luminous living room with a flat screen TV and an open space kitchenette that has been renovated in 2017. The university of Bicocca has 32 university buildings, three libraries and four congress facilities. The campus includes also canteens and cafeterias, theatres and cinemas. If you choose this student rental you will be in walking distance from all that you will need for your student life and also it is a well-equipped sport and study facilities area. Cozy student accommodation near the famous university of IULM. It is situated nearby the Porta Genova station that is one of the most live districts of Milan. Just a few steps away there is the train station and one of the MM2 underground stops of the green line. This student studio flat is well connected to the rest of the city by the tram lines 2, 9 and 19. This student studio rental apartment features a double bedroom, a one bathroom with shower and a washing machine and a small but well equipped kitchenette. if you are a student and you are looking for a furnished studio to spend few months in Milan this is the right accommodation for you! Milan is famous for its vibrant nightlife. One of the coolest areas for clubbing in Milan is the Corso Como area, in this location you will always find something to do and people to meet! This student accommodation area is full of clubs with house music and outdoors in the summer. Student rental accommodation situated in the center of the university district of Porta Romana. It is one of the most elegant districts of Milan. 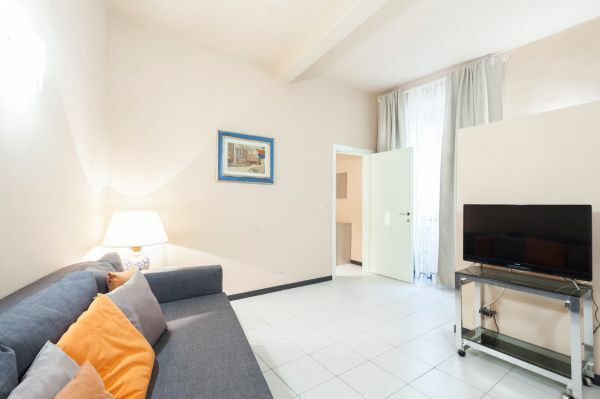 This student rental is surrounded by restaurants, bars and clubs, especially it is situated nearby the area of Viale Montenero one of the most popular districts of Milan. It is situated just a few steps away from the prestigious Luigi Bocconi University and it is the perfect choice for who attends this university. Rosa apartment is a student rental one bedroom accommodation. It is composed by a characteristic open space living room with a double sofa bed and a fully equipped kitchen with a dishwasher, oven, microwave and kettle. In this student accommodation you will find everything that you will need during your studying period, such as bed linen and kitchenware. It features a comfortable double bedroom and an en-suite bathroom with a shower and a washing machine. 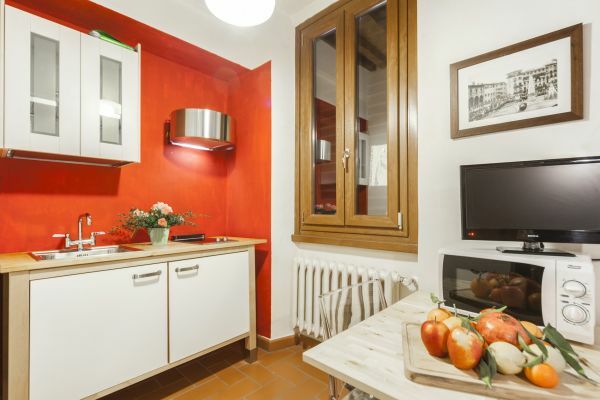 Two bedroom student accommodation located in a beautiful district of Milan. 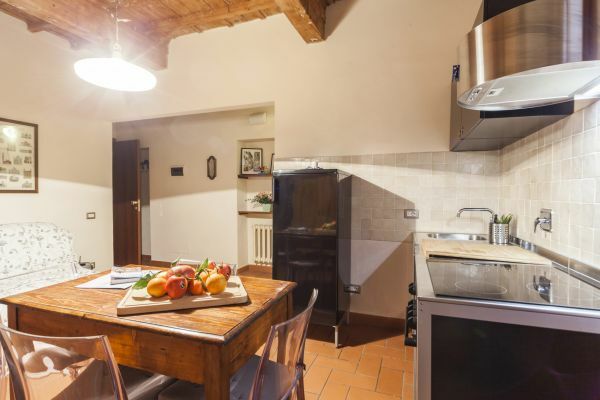 This student rental is situated nearby the Porta Garibaldi – Isola district, where you can stroll through the streets of the area and the characteristic squares full of students and artists. You can reach this student accommodation from the Porta Garibaldi train station (also metro Line 2 stop), ) and offers pet-friendly accommodations. 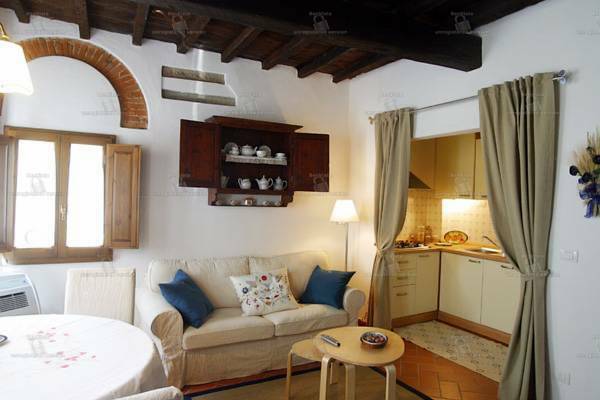 This student flat is located nearby to all the universities of Milan. This district, Isola district to the Garibaldi area the nightlife starts around 7pm with the happy hour and offers hundreds of bars, pubs and live music venues. Sushi is very popular in the area, you will find also cocktail bars and restaurants. This student accommodation is composed by two double bedrooms situated in the opposite sides of the house from more privacy, and a luminous open space living room with a double bed sofa, and a well equipped kitchenette. There are also two bathrooms on of which with a shower and a washing machine. Leonardo 3 apartment is located just a few steps away from the Politecnico della Bovisa in Milan. This student accommodations faces the Parco Don Luigi Giussani. It is situated in the perfect area of Milan full of services and near by the train station and it is well served by the means of transport. Leonardo 3 student rental is composed by a luminous double bedroom with air conditioning, a living room with a double sofa bed and a flat screen TV, a bathroom with shower and a wash and dry machine, a fully equipped kitchen with all the appliances and utilizes that you will need for a comfortable stay. Moreover, the city of Milan is lively and full of cultural and leisure ideas, you can visit easily the city by bike and by the public transport. This student accommodation is surrounded by restaurants, bars and pubs. Milan attracts thousands of international students due to the charm and the quality of its universities. Student rental accommodation called X-Humanitas for its proximity to the Univeristy Humatinas, international reference point for research. This is a perfect student two bedroom accommodation with two private bathrooms with shower and a fully equipped kitchen. This student accommodation is situated outside from the center of Milan but the center of the city can be easily reached by public transport, which stop nearby the apartment. It is a perfect combination of a fully accessorized modern apartment and a quiet zone that you can relax and concentrate on your studies. We suggest if you choose to stay at this area to get the M-ID card that can benefit university students that includes free entrance to all the main museums of the city and discounts for the purchase of tickets at the Piccolo Teatro di Brera. 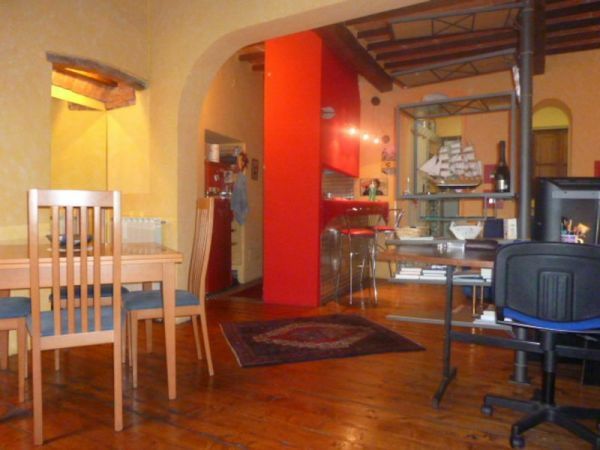 Three bedroom student accommodation situated nearby the Nuova accademia di belle arti. situated on the second floor of an elegant building with a lift. This student rental is composed by an open space living room with a modern kitchen with all the appliances and utilities you will need for a pleasant and a comfortable stay during your stay in Milan. Naba student apartment features two double bedrooms and one single bedroom with a private bathroom with a bathtub. The common area, the living room, faces an internal garden and has a small balcony where you can relax during your spare time. The apartment is surrounded by the Milanese nightlife that is one of the most famous fashion environments in Europe. This student rental is situated in a lively district full of bar, restaurants and pubs that are frequented by the students until late in the night. This student apartment is surrounded by the large student population that lives in Bologna and that keeps until late hours in the bars, clubs situated nearby the apartment. You will find a lot of nightclubs frequented by the university students with evenings specifically aimed at the Erasmus students. In Bologna the nightlife starts at 7pm (with an aperitif during the happy hour, and goes until late at night with discos and music bars. Established in 1902 as an affiliated university of the Politecnico di Milano, Bocconi is one of Italy’s most renowned private schools, its courses are all based on business, economics and law. Some of Italy’s highest minds are Alumni of Bocconi. It’s location is spread across the city so if you’re looking for a student apartment, check where your campus will be before you book. If you’re looking for student accommodations in Milan to study at Bocconi look no further cause StudentsVille has got you covered. The Università Cattolica del Sacro Cuore (aka La Cattolica) is Europes largest private university and the worlds biggest Catholic University, still affiliated with the Catholic Church, its main buildings are in the Sant’Ambrogio area. It has a variety of courses that are taught both in English and Italian, so no need to worry. If you’re looking for student accommodations in Milan to study at La Cattolica look no further cause StudentsVille has got you covered. The oldest university in Milan, founded in 1863, the Politecnico di Milano has its roots in engineering, architecture and design. One of the most prestigious schools for it’s courses and its history. With around 42,000 students you’ll be able to find its two main campuses in Milan at Piazza Leonardo da Vinci and Bovisa. If you’re looking for student accommodations in Milan to study at Politecnico look no further cause StudentsVille has got you covered. Istituto Marangoni is one of Italy’s most important fashion and design school, and if you’re going to look for a university that can cater to your needs as a designer this one is definitely the one for you. Located right next to Montenapoleone where all the glitz and glamour happens during fashion week, it’s great if you’re in need of a studio in the area. If you’re looking for student accommodations in Milan to study at Marangoni look no further cause StudentsVille has got you covered. The European School of economics is a UK based private business school that specialises in Marketing, Finance, Management, and Media & Communications. It’s Milan Location is around Porta Genova and Tortona, perfect to grab an aperitif after all that business talk. If you’re looking for student accommodations in Milan to study at the European School of Economics look no further cause StudentsVille has got you covered.